It's a good place to be. I really enjoyed being there. I may book there again before my return to Liberia, Africa. The room was not ok (smallest TV I've ever seen and air conditioner did not work well). 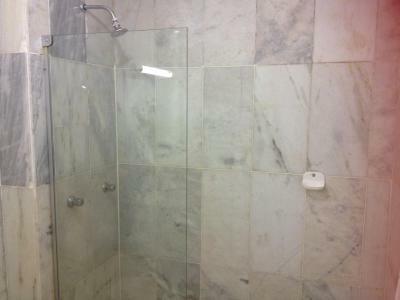 Furthermore the bathroom had water everywhere (there was no glass box in the shower). 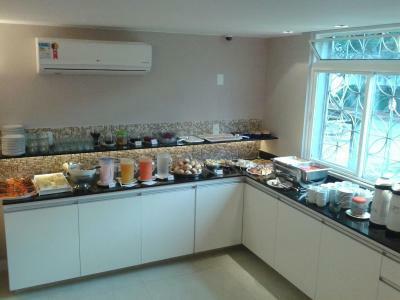 The personnel was kind and helpful, the breakfast was good, the hotel was close to a taxi station. The exterior of the building is nothing special, but that doesn't really matter. Our room was nice and clean. The beds were comfortable. The shower was nice and hot. The staff are helpful, friendly and professional. And the breakfast was pretty good too. A localização é ótima, estive próxima de lojas e centros comerciais. Limpeza da acomodação, impecável! Empenho tos funcionários em atender as solicitações dos hóspedes. No caso particular, foi atendida prontamente solicitação para se colocar mais uma mesa no quarto (finalidade de trabalho). Café da manhã: vitamina de abacate. 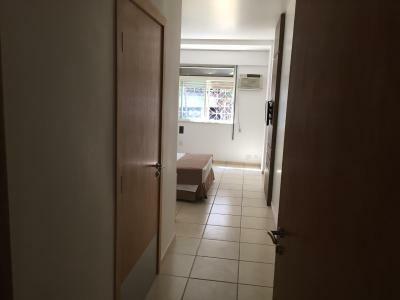 Localização excelente, com facilidade de acesso ao SCS (Setor Comercial Sul). A limpeza é muito boa e a localização ótima. O atendimento muito cordial e prestativo. O banheiro é bem espaçoso. 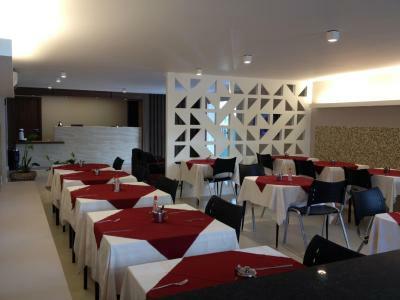 Localização ótima , café da manhã muito bom, facilidade de check-in, espaço do do banheiro e ter uma mesa e cadeira no quarto. O hotel é super bem localizado, principalmente para quem vai tirar visto, pois da pra ir andando ao CASV e fica a poucos minutosa da embaixada americana. Located in Brasilia city center, Riviera Hotel offers comfortable accommodations with free breakfast buffet and 24-hour front desk service. Free WiFi access is available. 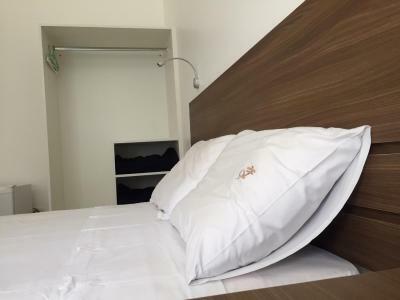 The practical rooms are equipped with air conditioning, a telephone and a mini-bar. The private bathrooms include towels and linen. 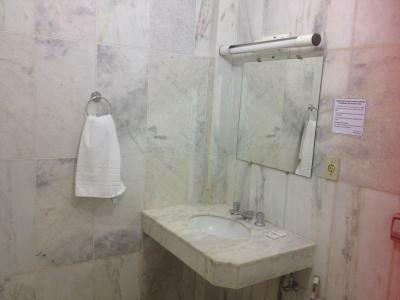 Riviera Hotel also provides a recently renovated common area, nonsmoking rooms and laundry service. Several dining options can be reached within a 5-minute walk. Centro de Convenções Ulisses Guimarães convention center is 3.1 mi away. Plano Piloto Central Bus Station is 0.6 mi away, while Presidente Juscelino Kubitschek International Airport is at a distance of 8.7 mi. 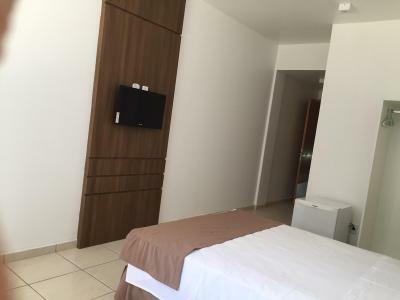 This double room with white tiled floors features a mini-bar and telephone. 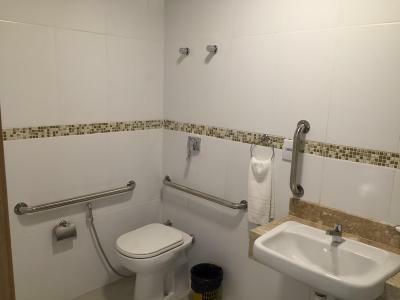 The private bathrooms include towels and linen. The hotel area is not a nice neighbourhood... The wifi had allways problems (I had to restart it continually). Dangerous place at night, restroom very poor and few support. the remote control only worked when i put my own batteries in :) there were a few weird electrical issues with the lights but this is not uncommon in Brazil.